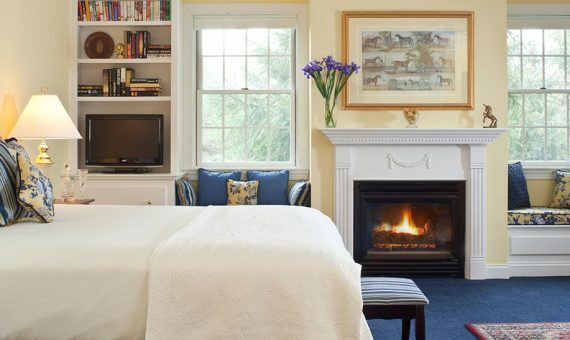 This room exudes country elegance with yellow hues, cathedral ceilings, and large oval louver windows with a duo of Queen Anne Chairs basking in the sunlight. An antique secretary desk with chair is the perfect place to catch up on some work or read the paper. 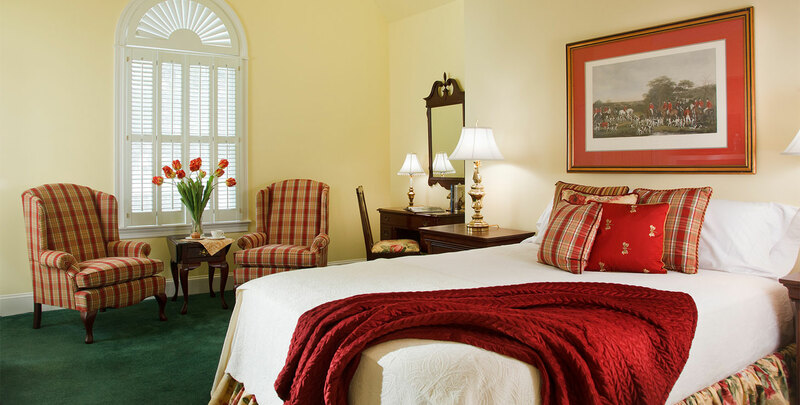 The comfort continues with the specialty queen-sized bed dressed with hand-made pillows and bedding ensembles done in a rich, Hunt Country elegance. The en suite private bathroom has marble floors, plush towels, and shower. Make reservations for a 2 night stay Sunday-Thursday in the Carriage House or Saddle Barn Suites and receive 2 complimentary tickets to Longwood Gardens.